On the morning of February 21, 1818, the IMC system jubilantly organized the program “Spring Meeting 2018″ at all offices with the attendance of all leaders and staffs. This was an expected event of IMC family, marking a successful new year with many victories ahead. 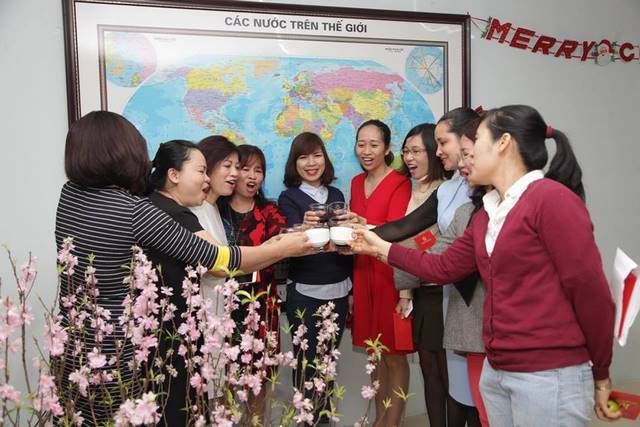 In the warm atmosphere of the spring meeting day,at all the offices we performed the ritual of opening a champagne bottle , lucky draw and sent each other the best congratulations. 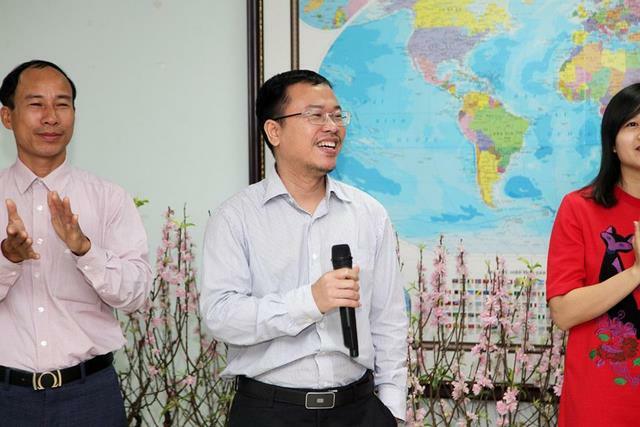 At the office in Cung tri thuc Bulding , CEO Hoang Tuan Huy expressed his pride in strong development of IMC in last year, 2018 was expected to be the a much more successful year of IMC, and continue to improve the quality of life for employees. At Tu liem office, Ms. Hoang To Uyen – Deputy General Director of IMC also wished all employees to unite together to overcome all challenges, seize the opportunity,and put more efforts for completing excellently the targets and plans, creating new breakthroughs in 2018 – the year marks the milestone on the road of IMC’s 15-year development IMC. The spring meeting took place in a warm and united atmosphere marking an auspicious beginning of IMC system in 2018. Spring meeting was the annual program organized before first working week of a new year. This was also an occasion for us to send each other new year best wishes. The new year joy was reflected on everybody’s faces with radiance, optimist and all were ready to begin the work much more confidently, actively and effectively.